Left Corning in the rain and it rained all the way to Niagara Falls. Figured we would be seeing the sights in the rain, but the next morning the rain was gone. Had a great two days in the sun. Niagara Falls is a much smaller city than we expected. The Canadian version across the river is the big city in this part of the world. Both sides are very careful to keep the natural environment in plain sight with parks and monuments, etc. Actually a very nice place to visit. Especially with the falls to see. 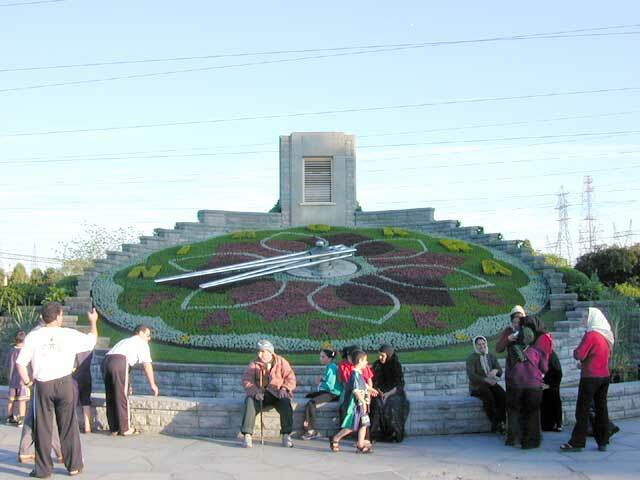 Niagara Park clock is in a lovely local park. It reminded Anne of the plantings made by her grandfather in McKennan Park in Sioux Falls. These plantings are changed with the seasons using more heat-tolerant plants for the summer. 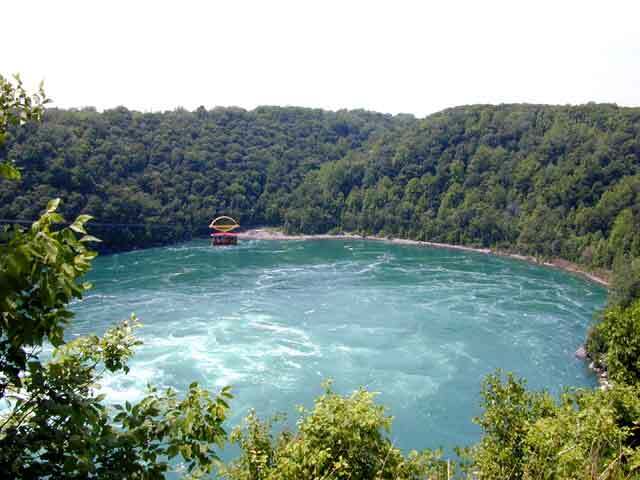 The whirlpool is downstream from the falls and forms in a pocket bay on the west side of the river. The Canadians have a cable car that takes people out over it. During the day the flow is counter clockwise but at night it reverses direction. This is the result of taking water from the river to fill the reservoir above the power generating station. The lower flow rate causes the currents in the whirlpool to change which reverses its direction of rotation. It was impossible for Ted to get a picture of Horseshoe Falls in the daytime. By the time we got close enough to it on the boat the lens of the camera was all wet. The mist rising off the falls is absolutely incredible. When about 625,000 gallons per second - yes that is correct - per second! - is flowing over the cliff, the water creates a lot of mist which feels like rain. 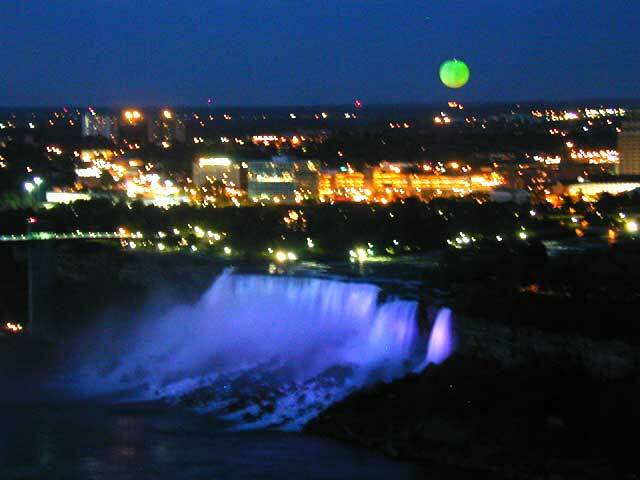 The lights are turned on at dusk so the falls can be photographed from the shore at night. Notice the two falls here. 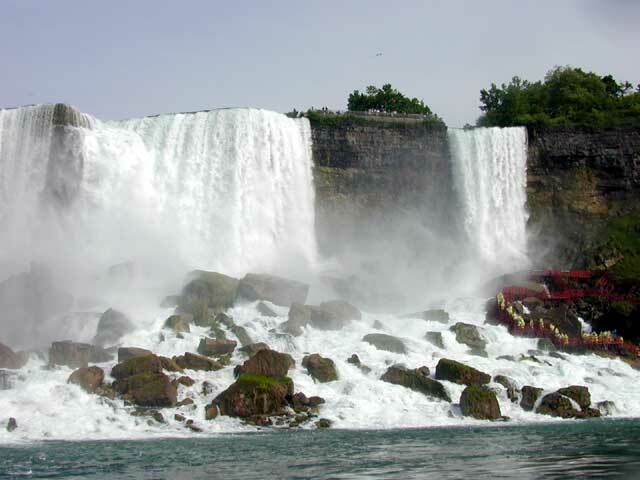 The larger is called American Falls and the smaller is Bridal Veil Falls. Bridal Veil used to have another name (I forget what it was) but it was renamed to honor Niagara Falls which is known as the honeymoon capital of the world. Only about 75,000 gallons of water per second flow over these falls so the mist that is created is not so great. In 1960 the water was dammed up and maintenance was done on the underlying cliff. It was becoming unstable so they dynamited the edge which created a lot of the rock seen at the bottom of the falls. 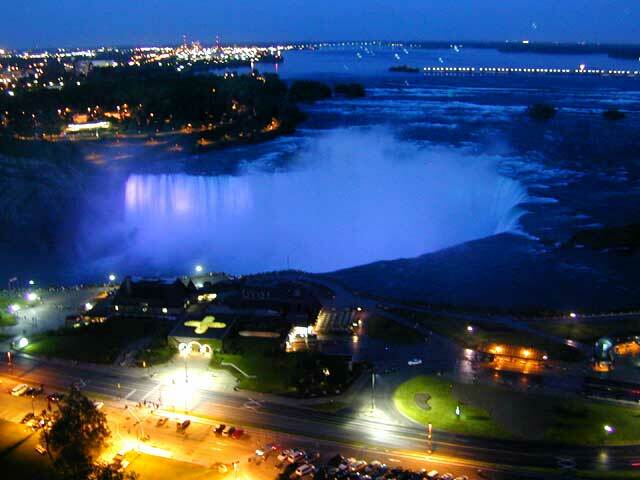 This is a view of American and Bridal Veil at night from a tower on the Canadian side. Note the green moon in the sky. Actually it is a balloon tethered that ascends and stays up about 10 minutes. They say that the view of the falls is spectacular but we didn't participate in that one. Just liked how the glow looked at night.